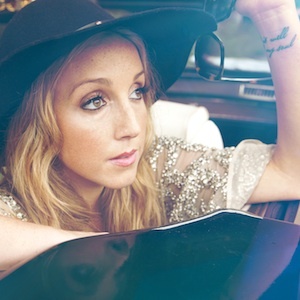 Ashley Monroe will perform songs from her latest album Like A Rose to over 4 million listeners on NPR’s A Prairie Home Companion this weekend. The event will broadcast live from Lubbock, Texas tomorrow (April 27). Fans can also tune in Monday (April 29) at 7 p.m. CST when Monroe will be featured on Warner Music Nashville’s new monthly interactive live concert stream, “Live from Music Square,” via StageIt. The live concert will be broadcast from Studio B on Music Row in Nashville and the stream can be accessed at livefrommusicsquare.com. Like A Rose, produced by 20-time GRAMMY award-winner Vince Gill and Justin Niebank, features songs she co-wrote with Hall of Fame songwriter Guy Clark as well as many of Nashville’s songwriters.